With the onset of the Olympic games this week, I wanted to share with you a special product from Ahead. 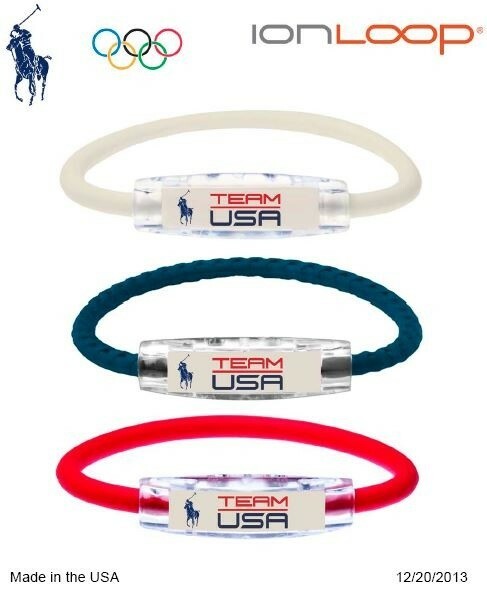 The Ion Loop bracelet is part of the official Team USA uniform and features two neodymium magnets and tourmaline infused silicone bands to produce high levels of negative ions. These negative ions work to combat the draining effects of positive ions that we get every day from the sun’s UV rays, computers, and smart phones, allowing athletes to perform at the highest level for longer without fatigue. While these are certainly going to help the USA’s chances at medaling in the games, they are also great options for golf tournament gifts this spring. The minimum on a custom bracelet is 150 pieces and is priced at $22.00 with no set up. If you prefer a stock bracelet, the minimum is just 15 pieces. These are available in small, medium, and large, fitting most wrists easily. These are brought to the corporate market by Ahead. The number one Golf Headwear line.